A plane carrying 88 people crashed in central Russia early Sunday, killing all aboard, an emergency official said Sunday. The Boeing-737 traveling from Moscow to Perm went down around 3:40 a.m. Sunday, Emergency Situations Ministry spokeswoman Irina Andrianova said. There was no indication of a terrorist attack, she said. The plane, operated by a division of Aeroflot, was on its approach to land in Perm when it crashed into an unpopulated area of the city, she said. A total of 82 passengers, including seven children, and six crew were on board, she said. She said there was no damage or deaths on the ground and investigators were working to determine what caused the incident. Aeroflot spokeswoman Irina Danenberg said in televised comments that the plane was at about 3,600 feet when it lost contact with ground dispatchers. Perm is about 750 miles east of Moscow. Perm emergency official Valery Tivunov said in televsied comments that the plane crashed onto train tracks just a few dozen meters (yards) from an apartment building. Russia and the other former Soviet republics have some the world's worst air traffic safety records, according to the International Air Transport Association. Experts have blamed weak government controls, poor pilot training and a cost-cutting mentality among many carriers that affects safety. 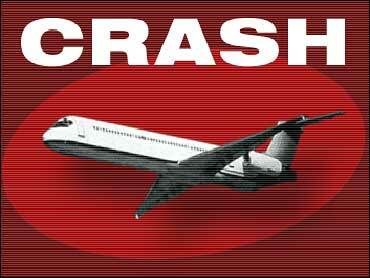 Sunday's crash was the second involving a Boeing 737 in the former Soviet Union in the past month. A Boeing flying from the Central Asian nation of Kyrgystan to Iran crashed shortly after takeoff on Aug. 24, killing 56 people.